One of the rare fond memories I have of Stromness Academy in the 70s, was the cubby hole of a classroom which was the Latin teacher’s lair. This cramped den complete with fireplace, was converted from the former female staff room of an earlier era. A time when male and female staff were kept socially apart. The men’s staff room emitted pipe smoke and the other whiffed of spinsterhood. Those were the bygone times of Boys and Girls entrances, cold outside toilets dropped like tardises (tardii!) in the mud and gravel playground, and a world fragranced by Jeyes-fluid. The small groups that trooped to the Latin room eschewed Woodwork and the finer intricacies of Home Economics having in most cases been reluctantly steered there by aspiring parents coercing them into the ‘usefulness’ of a dead language. Thereby a tranche of conjugating university fodder was brought forth who could neither bake a scone nor fix up a shelf bracket. But no, the Latin teacher knew that education was about much more that input and output and that the brain was like bicep and triceps requiring to be equally and oppositely stretched. She willingly allowed herself to be diverted by topics of all kinds, her classes flowing untrammelled into serendipitous spheres of history, philosophy and gossip. All the while the necessary input of Latin text, translation and vocabulary managed to settle itself as if by stealth, somewhere inside our heads, exams, as they should be, a mere blip in the real world. Because of the flexibility that our particular school had then, and the linguistic enthusiasm and interest of the teachers, pupils could learn Latin, Greek (ancient and modern), Italian, Spanish, French German and Norwegian. That’s eight languages all taught within one small department. The Latin teacher was the catalyst, often learning alongside us and keeping one step ahead in order to teach what she had just learnt. Mrs Hunter was the ‘can do’ of language tuition. However, the one language that dared not speak its name in the Northern Isles was Gaelic. Some cultures best define themselves by knowing what they are not and Gaelic as a language was and is vehemently rejected by the Orcadian cultural protectionists who voraciously cleave to the Norse ancestry of the islands. This is all fine, its’ historically true Orkney and Shetland were annexed from Norway to the Scottish Crown in 1471. The Norn dialect was spoken here but Norn as a language is long gone. Writing around 1750 James MacKenzie observed, ‘The customs of the inhabitants, like the rest were all Norvegian; their language the Norse, or that dialect of the Gothic which is spoken in Norway, and disused only within this present age, by means of those English schools erected by the Society of Promoting Christian Knowledge. Nor to this very time is it quite disused, being still retained by the old people, and in vulgar uses amongst them at this day.’, (The General Grievences and Oppression of the Isles of Orkney and Shetland, James Mackenzie 1836). So again I guess it’s thanks to those English educators again for kyboshing the Norn. What happened to the Christian knowledge is less clear. These days Orcadian dialect is wholly diluted and increasingly rarely heard on the streets having been supplanted in the main by Home Counties parlance. Xenophobia towards funding for the Gaelic language is disproportionately extreme in the North. Perhaps it is the very real fear that Orcadian dialect is near extinction in spoken terms that prompts this – but two dead languages don’t make one living one. I grew up in a strange double whammy of an existence when not only was Orcadian dialect rejected in schools but my Gaelic heritage was already all but extinguished and definitely not something that could ever raise its head above an Orcadian parapet. This confusion of linguistic identity spawned in me a dialect charlatan whereby the voice could change for the situation or the company at will. Spoken family Gaelic abruptly ended well before my time with my grandfather’s death in 1926. The family relocated in 1918 from Oban with the Northern Lighthouse Board and tales came down to us of the proverbial pan-Scottish playground beatings for uttering Gaelic in the wrong places. The half of the family born in Oban had a smattering of the old tongue; the half born in Orkney had none. As a single parent of nine in a society without a welfare state, it is perhaps understandable that my big boned Applecross grandmother did not show too much of her softer side. In my lifetime she was a distant figure whom I rarely heard speaking in her own first language. In her late 80s watching the Grampian Hogmanay show, a kilted comedian made some jokes in Gaelic causing her to collapse with girlish laughter, exposing an altogether different woman and cementing a real if almost broken thread to the Gaelic language within me. The mystery of this hidden and secret language was something that nagged me from childhood. The only tangible clue to this other culture were our names. Unapologetically Gaelic first names were issued to my siblings as if this were the one legitimate place Gaelic could be championed. The fragile web however was there in the background. It transpired my grandmother had Gaelic speaking friends in Stromness with whom she continued to converse, there was an orphaned girl from Farr who was sent by neighbours to help my grandmother after her husband died. This lady told me herself that her birth name was changed because no-one could pronounce it. Then there were the two Gaelic speaking neighbours Mrs. McLeod and Mrs Brown, known as Brownie and Cloudie. Mrs. Brown was Mhairi Brown, mother of George MacKay Brown, who came also from across the Firth to work at McKay’s Hotel, a native speaker whose linguistic prosody as a contribution to her sons’ poetic development is rarely if ever acknowledged. It would seem that Gaelic was spoken behind closed doors, unobtrusively in the houses of the light-house keepers and the nomadic Gaelic Diaspora of NLB ships’ crews. My grandmother told me that ‘you would never get on if you spoke Gaelic’ and her life’s work was to ensure her family did ‘get on’. It was the immigrant’s ongoing dilemma for acceptance and necessary subjugation of perceived cultural threats to the host community. The lack of enthusiasm for language of any kind translates into a lack of interest in the ways of thinking and the lives of others. The eight language options that I had, has in the same school transformed into a struggle to keep just French and German afloat. In the other larger island school only French is available. It is ironic that my exposure to the certainly dead Latin that opened up other European languages, ran in tandem with the proximity to the dying indigenous Scottish language of Gaelic. This speaks volumes about the powers and threats that language knowledge offers. Scots are supposed to be able to pronounce German well, the Scottish accent helps because we can all say ‘loch ‘properly with a good guttural ‘chhh’, a small but legitimate chance to revel in the unique development of the Scottish sound producing palette that more often welcomes a life-shortening diet of grease, alcohol and tobacco. So it’s, ‘Hurray’ for the ability to say loch, but are there any other languages that people with Scottish accents can speak? – well surprisingly or not the other is indeed Gaelic. BBC G the forerunner to BBC Alba ran a series called ‘Speaking our Language’ on a Sunday evening for beginners and I quietly decided to carve out a private half hour to spectate on the cheery Rhoda MacDonald and her intriguing 90s wardrobe as she led the tongue tied through the incomprehensible spelling of Gaelic which is so mindboggling. (My grandmother never learned to write the language). The pronunciation is altogether an easier matter though and the programme has a helpful way of combining sound and spelling to assist the learner. The Sunday evening thing just didn’t work for me as sure enough the phone always went during that particular half hour and with the I-player version several steps out of sync with the TV series I fell by the wayside again as with so many other attempts at self improvement. But the day was saved as CDs are available to buy. There is also a youtube link (see here). Learning again I now have a new life engrossed in the drama that is ‘Aig in Taigh’. The series filmed in the 90s is a retro time-capsule of delight with fashion and hairdos from the days before mobile phones and when clunky computers in the ‘Ofis’ were the thing. I find ‘Speaking Our Language’ entertaining for its out-datedness but have become quite fond of the different characters that pop up in all the mini scenarios. Where are all those stars of ‘Speaking our Language’ now? How many have managed to morph through Machair into River City? BBC Alba is a revelation. You can watch rubbish cartoons and try and learn a language at the same time. You can pick out one word in twenty quickly gauging the sense from the subtitles. I’m a convert to BBC Alba and I’m not even a speaker…yet. There remains a puzzling weight of criticism launched at efforts to preserve and breathe life into the Gaelic language, most sadly from within Scotland rather that out with. Why this perverted antipathy to that particular language? In a land where our children are barely exposed to one foreign tongue and in linguistic terms whose growth is stunted compared to our European neighbours, all parts should welcome Gaelic development. For it is the unlocking of just one language even if it’s a dead one that can lead the brain into all sorts of directions and stimulate it to make connections that may on the surface have nothing to do with language. Is there some fear, as in the former Communist Poland, of the state mandatory teaching of Russian which Poles so resented, being mirrored in Scotland? It would be sad and counterproductive if Scotland’s own population came to resent one of its indigenous languages because of a miscalculation of National enthusiasm. Gaelic as an option among other new world languages such as Mandarin and Portuguese could propel a Scottish generation confidently into the economies of the future. A by-product indeed could be improving the genetic make-up of the national football team. But as Europe slides downwards into a democratic treacle with bankers staging more and more monetary coups, the new markets will increasingly be further afield. There should be a wind of change in language teaching in our land, something of a hurricane bawbag of a concept if you get my drift. I just wanted to leave a word and say that I really enjoyed reading this post. Gaelic is very much an unexplored world to me. I am very interested in Scots and I also find the Norse heritage in Scotland very fascinating. In studying these I cannot, of course, ignore Gaelic. Thank you for showing me a bit more of the Gaelic world, I hope to some day have a chance to make learning Gaelic a key priority. Good post and interesting points. The Norse heritage of the north is not in question though its a heritage shared by today’s Gaelic ‘heartlands’. The antipathy of some in Caithness, for example, towards Gaelic is bewildering. In ‘Gallaibh’, Gaelic was a very recent living part of their culture and lives today in a small number of ‘migrants’ and learners. However, their Norse and Pictish heritage seems to take precedence. Why is this? And, what exactly are today’s Gallachs doing to further this heritage? Nothing it seems other than use it as a stick with which to beat Gaels with. Further, and to go one step further into the past than the Gallach anti-Gaels, it should be remembered that the Northern Isles, along with the Faroes and Iceland were ‘populated’ or at least settled by Gaelic speaking monks first. Lastly, talk of Shetland’s Nordic present reminds me of a Rab MacNeil column in the Hootsmon many years ago. He asked why today’s short and dark haired Shetlanders should celebrate those who massacred their ancestors. He compared it to – I paraphrase here – of future Kosovans celebrating the Serbs of a decade ago. He also pointed to a then recent Norwegian visit to Shetland and the accompanying photo in the local press. He observed that in one glance it was obvious as to who the real Norse were – and it wasn’t the short-arsed dark haired Shetlanders! Tha sin glé inntinneach, a Fhionna, moran taing! I well remember hearing Gaelic spoken in the public bar of the Queens Hotel, Lerwick, in 1979, by two Orcadian painters who drank with a fisher from Harris. Gaelic may be on the road to revival, but the Norse linguistic heritage of the Northern Isles and Caithness needs to be acknowledged and nurtured much more by Scotland. Cùm ort le do chuid Ghàidhlig a charaid. ‘S e pìos uabhasach fhèin innntinneach a sgrìobh thu. “Education” (x3). Scots know little of the Gaelic foundations of this nation. There’s a vacuum there, which Gaelic programme makers (and educators, in a broader sense) need to fill, with some alacrity. Culture, in it’s wider nature, has transformed Scotland ( see Alasdair Fraser, at the “Trads”. “No more Scottish cringe”). It is no longer acceptable for The Herald (from the area with the highest concentration of Gaels outside the Highlands) to so assiduously avoid mention of the “G” word and all things perceived to be teuchterish (and presumably, therefore, worthless). Two full pages on cricket (One, on the English cricket team) and three column inches on Shinty, Scotland’s national sport? Please, give me a non-cynical explanation for that particular oversight. It needs to be explained to the vast majority of Scots what Gaelic means in terms of our national history, culture and identity. Without Gaelic there would have been no Scotland. That message needs to be transmitted and absorbed before something more concrete than just a vague collective goodwill can be brought to bear in its revival. Thanks Camanachd, couldn’t agree more. Do Gaelic programme makers have to educate Gaels? Gaels like anyone can be ignorant or suffer cringe but in the main we know their historic place in our nation. First of all, its for the English-language media in Scotland and the education system to correct centuries of cultural and linguistic cleansing. Gaelic IS at the heart of our identity and anyone who learns it will see the bricks falling into place – from Glayva and Drambuie to Yellow David (Bowie/ Buidhe) and the Hill of the Hazels (Calton) and many more. My great-grandfather’s brother was from the island of Scarp off the coast of Harris & became a lighthouse keeper in Orkney. The family in Harris have always assumed that the MacInneses in Orkney were descended from him. Are you able to shed any light on that? Being from a Hebridean family where a large percentage of place names are Norse, I am extremely proud of Scotland’s Norse heritage & keen to pursue these by way of links to the Nordic Council. The tragedy with the Northern Isles is that some people (generally incomers I would guess) are keen to promote the view that there is no shared Pictish/Gaelic/Norse heritage, which of course there is, as indeed is the case with a large part of Scotland. I know that the family did settle permanently in Orkney. My father said that he once met a daughter who came from Orkney to visit her relations on Scarp. Gailigdh beac tha fios agam o chionn ghoirid, is toigh leam fois fearr ach cho glic ri sagartiseallach leabhriachean air. Cha n’eil guth agam, cha n’eil cairdean a’ bruidhinn ann an croilean so aon agam. This is the big problem keeping Gaelic in a part of Scotland where there are few speakers of the language, even though it once was common in the SW of Scotland. I learnt at school from a modern languages teacher from Harris and a school friend from Lewis – a relation of Sorley MacLean – in part because my Grandmother knew gaelic but never spoke it because she had it beaten out of her at school in Elgin in the late 1800s. It was an attempt to understand a side of my Gran I was never allowed to know and part to understand the poetry of Sorley MacLean in his real voice. I still have the book knowledge but I do not have a voice and that is what saddens me. Great article, we should do more to celebrate our Gaelic and Norse heritage. A big part of that surely would be encourage the dialect that still remains in the Northern Isles along with its wider culture. I don’t think it’s that daft, in fact, to suggest that more in the way of classes in Norwegian (our closest Scandinavian neighbour and, apparently, the most mutually intelligble of the Norse languages) should be available to Scots. As a Gaelic speaker myself, I want to see my language flourish again but engaged in an international dialogue, and especially European interaction, drawing on other language languages and cultures. 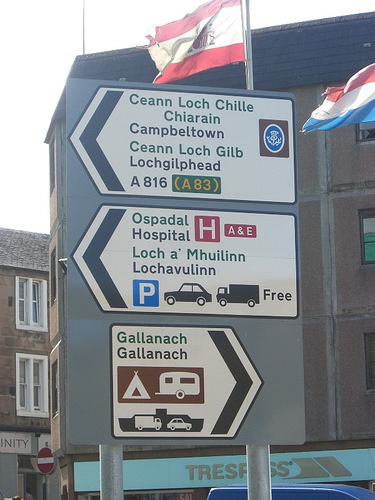 There are as you mention very interesting examples of Northern Isles-Gaelic interaction. Orkney’s greatest poet of the 20th century, George Mackay Brown, was himself the son of a Gaelic speaker from Sutherland. Thank you. A very thoughtful piece. I’m enjoying beginning to learn Gaelic and sharing it with my family. I’m looking forward to learning more about the background as we go. Thanks – just adding your blog to our blogroll. Keep in touch. Le gach beannachd.